Brad Pitt, 54, still looks like a million bucks. 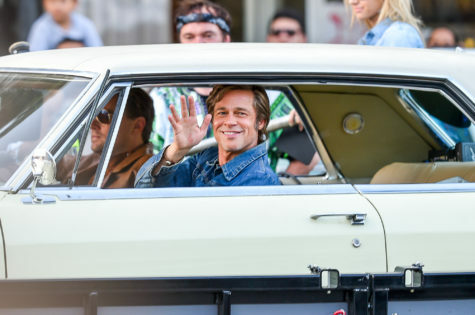 Here he gives a wave while on the set of Once Upon a Time on July 24, 2018, in Los Angeles. That’s the Tarantino film about the Manson murders, costarring Master DiCaprio.